My purpose for this cooler was a little different. I was searching for a carry all bag for my Dad to take to his dialysis treatments 3X a week. After searching for quite awhile, this item came to fore and perfectly fit the bill. It has room for his blanket, IPad, snacks, and other items he may need during his 4 hour appointments. The carry handle is convenient and the shoulder strap is perfect to hang over his armrest side table. The mesh side pockets are handy for quick retrieval items. Other carriers I viewed were either too big or small (or were flowery fabric) He absolutely loves it. 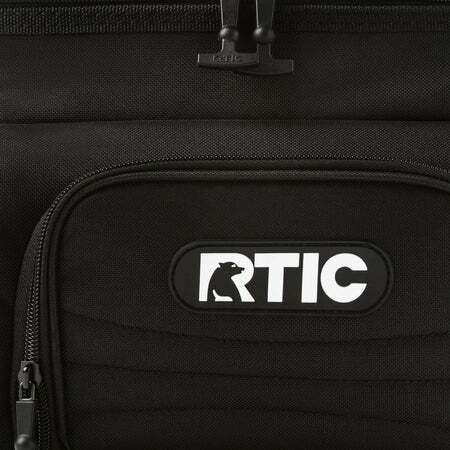 I love RTIC products. I have a few cups I love. 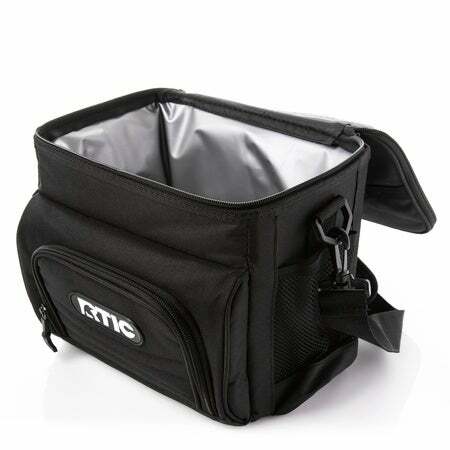 I just recently ordered the day cooler in black for an every day work bag. I like it, however the logo is totally crooked on the front. Good quality just a little disappointed about looks. I have had this for over a month. It does well keeping things cool, looks and feels great. 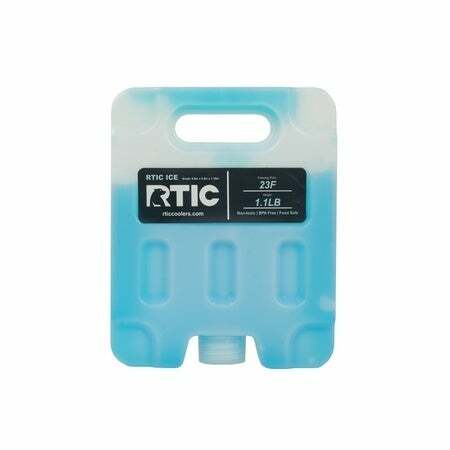 If you use it outside it won't hold ice or ice packs past 5-6 hours. Otherwise it's awesome. When they say your order ships today - they really mean it! I ordered two lunch coolers May 2nd at 5:20pm. When I got home May 3rd at 5pm, they were on my doorstep - amazingly fast!! Can't wait to put these to use! I placed the order on Fri, and received my coolers by Tuesday. WOW, great shipping & shipping was FREE!!! I have used this little cooler for only one day, which it's not enough to give it a fair review. However,from what I can see, this cooler is well made, and seems durable, not your typical soft cooler, that is for sure! As I use this cooler, I will come back and give up an update review. Bought this to bring my lunch to work for the week. 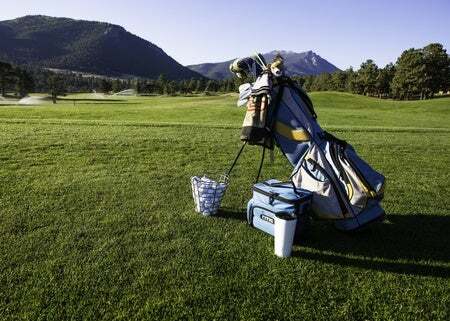 Perfect sized cooler, keeps items cold, sturdy, well-made. 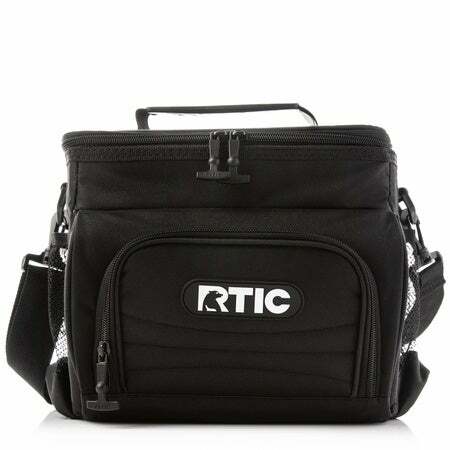 Great product RTIC!! 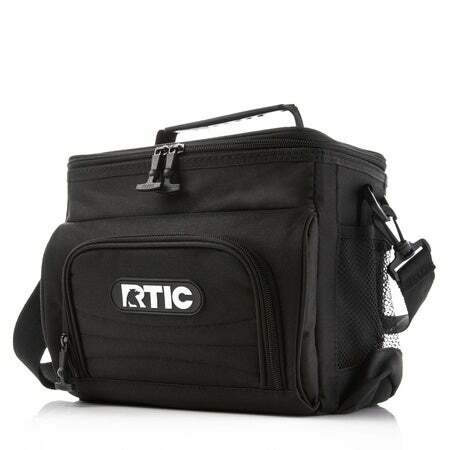 I use this to keep my lunch cold while operating locomotives and after a 9 hour run, ice packs are still cold! I use 2 of the Cooler Shock lunch bag size ice packs and it's like they were made for this cooler. They fit either standing up, or lying down in the cooler perfectly. Very satisfied. Probably going to buy a 2nd one. Purchased cooler last December 2017 in blk. The only defect are the mesh side pockets. Elastic banding ripped within first mo. Wish side pockets were made w/stronger materials. I’ve been using mine for 5 months while driving a truck. My drinks and lunch stay cold all day with 2 ice packs. This a great product at a very fair price. So excited to see an Artic food bag product. I commute four times a month for 3 day trips in the aviation industry. Disappointed with the mesh pockets thus far. Seams ripped after three weeks. I was hoping this would have lasted a little longer. Will now have to purchase an aero coast food bag. Bought this to create my groomsmen gifts, added the 1/2 gallon jug to go with it, and added other stuff to go with it. Both are quality products, even bought them for myself. This little cooler is amazing but let me break it down the pros and cons. So here are the Pros: First the feel and look is top line. The cooler feels solid and sturdy even as a soft case. Also being someone that is 6'3'' the shoulder strap is removable which is great because some coolers don’t give you this option. The handle and zippers feel solid and don’t feel like they will break at the slightest tug. 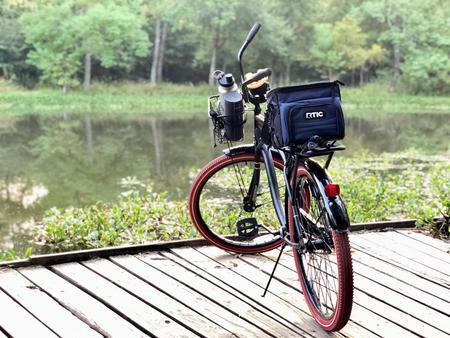 As for the look it’s a great looking cooler (even with mine being just black). Also having 2 side pockets helps with carrying things that you don’t need to keep cool or hot. The main Pro with this cooler is how well it keeps things cool and hot. I loaded some refrigerated deli sliced cheese, turkey, and Mayo along with some empty cups and bread on top with no ice or ice packs and the cooler at room temp. 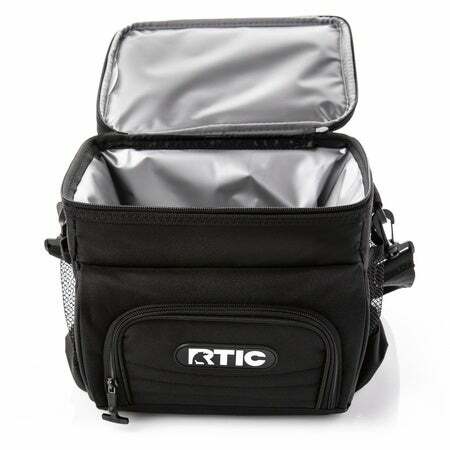 with my old Igloo brand lunch box cooler the meat and cheese would have warmed up a little on the 30 min journey into work (nothing life threatening but still not good) but with the RTIC they were as cold as they were in the fridge which actually surprised me since there wasn’t any ice or anything. Also my empty tervis and coffee mug were completely cool to the touch. As for hot items I haven’t had the chance to test this yet but I’m expecting this cooler to outperform my old cooler by a mile. The last pro is the price, it cost the same or less (if on sale) than majority of lunch boxes and other small coolers out on the market today. So what about the cons? Well the only one I can honestly think that people may have is the size. The unit is small but for me personally it works great. Since I don’t know how many people will load these up with cans here is what you can fit in the inside part of the cooler : 4 16oz tervis cups or 4 standard size coffee cups plus 2 plastic containers for a sandwich or ice packs or small bags of chips . as for the side pockets you can fit 2 20oz or 30oz RTIC cups easily and the small front zipper pouch can hold something that is flat. 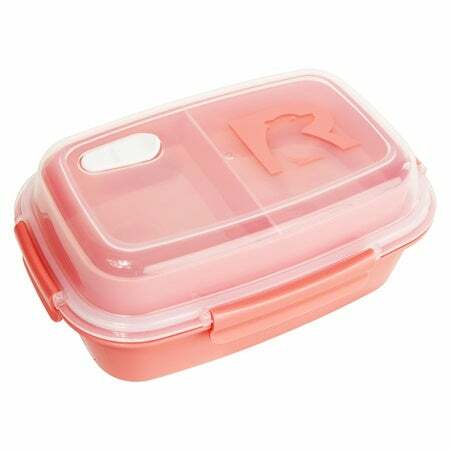 So overall, yes it’s not huge but it is the size of a lunch box so if you need more space buy a hard shell or soft shell cooler. 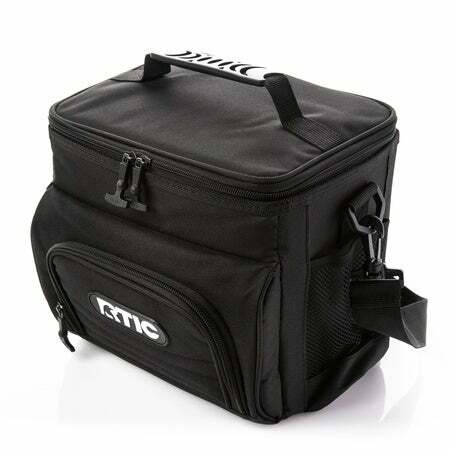 If you’re looking for a great small cooler that lightweight, easy to hold and take around, inexpensive, and fantastic at keeping items cold or hot then get one of these coolers! Very good quality. I use this as a lunch box. I wish it was a little bigger so I could put a coffee thermos inside. I use a different brand lunch box in the winter because I can't fit a small thermos and my lunch inside. So I bought this for baseball and soccer. I wanted to carry some water and Gatorade. Well, if I put actual ice in there, I might be able to put 2-3 16oz bottles in it. Stays cold. However, if I need to put say... LUNCH in this bag, I am limited to using ice packs. And things quickly defrost. I packed it, put it in the fridge over night then tossed in my ice packs at 7am. By noon, things were warm. And it's sitting inside a building! I'm disappointed. 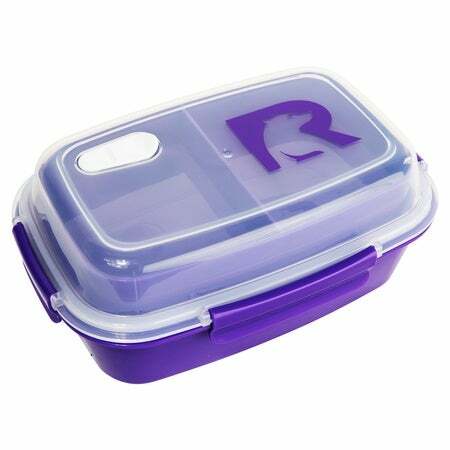 I wanted something I could use for lunch and for baseball/soccer practices and games. $25 down the drain on this! If it can't keep my lunch cold with out me throwing ice in it... (ice and zipblock bags with food don't work) then it's a waste. I bought this as a little lunchbox, and I could not be happier. It is perfect, it hold the cold longer than anything else I’ve used. Fantastic product! I bought two of these, one for my boyfriend and one for myself. I'm a nurse and was planning on using this to take my lunches to work. But holy cow... it's a lot bigger then I expected. The picture does not justice at all. I love it and its price is especially good for the quality.